‘Breaking Bad’s Aaron Paul Will Star in ‘Long Way Down’, an Adaptation Of the Nick Hornby Novel!!! Aaron Paul known for Jesse Pinkman on AMC’s ‘Breaking Bad’, will stat in the film, ‘Long Way Down’ with Pierce Brosnan, Toni Collette, and Imogen Poots. ‘Long Way Down’ is a novel by Nick Hornby and will be adapted for the screen by director Paschal Chaumeil. Jack Thorne will be writing the script with Finola Dwyer producing according to Deadline. ‘Long Way Down’ focuses on a quartet of people who plan to commit suicide. Paul plays a pizza delivery man, and there is also an embattled television talk show host, a teenaged girl and the mother of a disabled boy. They befriend one another when they meet atop a tall building on New Year’s Eve. The film will start shooting in London next month. 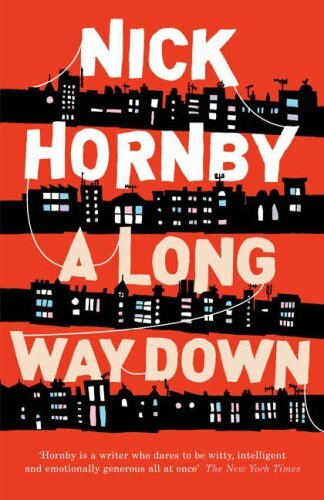 Nick Hornby wrote the novels ‘High Fidelity’ and ‘About a Boy’. I love his work and am curious to read this book now. And Pascal has worked the films ‘The 5th Element’ and ‘Leon The Professional’. I have no doubt this will be awesome. Film Review: ‘Need For Speed’!! This entry was posted on Monday, August 13th, 2012 at 12:25 pm	and is filed under Film, News. You can follow any responses to this entry through the RSS 2.0 feed. You can skip to the end and leave a response. Pinging is currently not allowed. « NBC Prepping Super-Villain Series!!! [to Fox, while being chased by Cross] I think we lost him... I think we lost him. Can you let me off at the next corner, please?